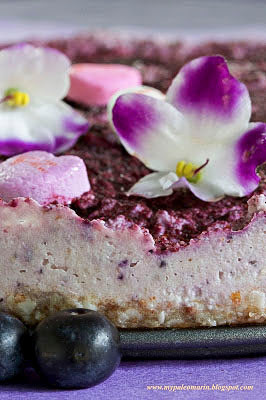 Love your heart on Valentine's Day with this vegan no-bake ‘cheesecake’ from the Swedish baking blog Call Me Cupcake. No, it doesn’t taste like a traditional New York cheesecake. Kept in the freezer, it’s more like a Mexican paleta (ice pop) made of Medjool dates, almonds, blueberries and coconut cream. See the link, "Vegan No Bake Blueberry Lemon Cheesecake," for ingredients, instructions and beautiful photographs of the cheesecake.